AUDUSD pulled back from 0.7393, facing the key support at 0.7164. 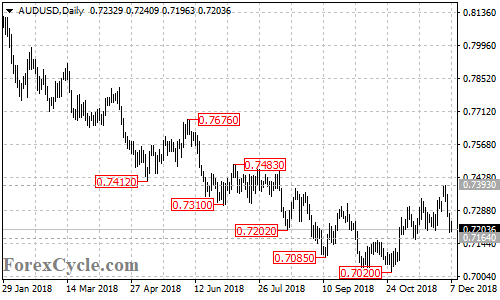 A breakdown below this level would confirm that the upside movement from 0.7020 is complete, then the pair would find next support at around 0.7100. Near term resistance is at 0.7280, a break of this level could trigger another rise towards 0.7500.